A snake catcher has shared an image of a red-belly black snake that had found an unusual spot to get comfortable in before it was captured. 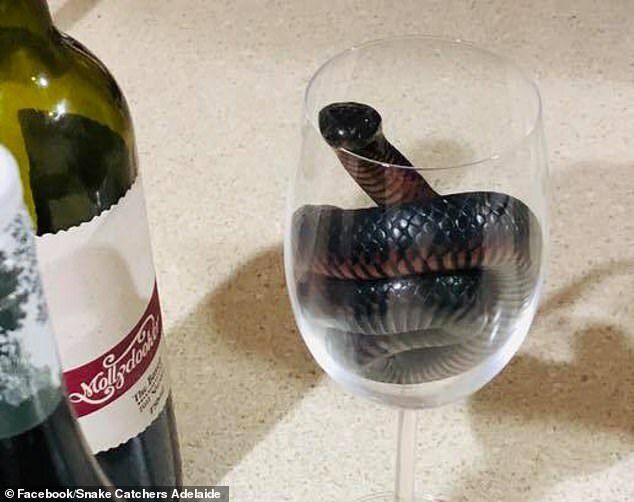 Snake Catchers Adelaide shared the image of a metre long red-belly black snake curled up in a wine glass to its Facebook page with the title ‘Glass of red….belly’. ‘This red belly is almost a metre long, it’s just to show you how small of a space snakes can inhabit,’ the status read. The apparent comfort the snake shows with its new spot inside the wine glass added another level of difficulty to the capture. The image was shared on Sunday and has already garnered 397 shares and 588 likes with a number of social media users giving their thoughts on the snake in a wine glass. ‘A hint of snake..and has a lingering feel on the palette (bite),’ one user wrote. ‘Not quite the full bodied red I like on a Sunday arvo,’ another added. ‘That’s a nice red with a bit of a bight!’ yet another added. 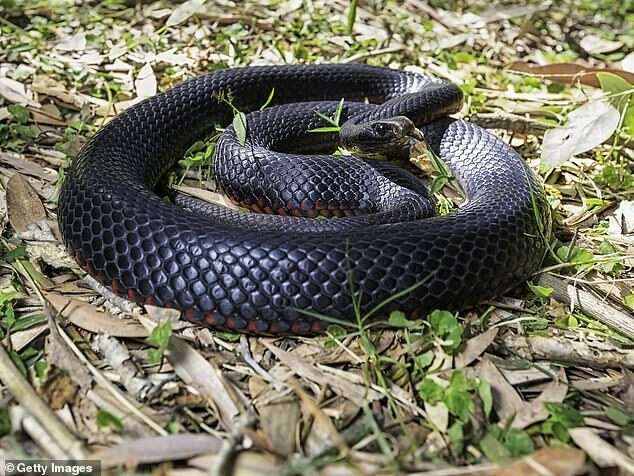 Red-belly black snakes are one of the most commonly encountered snakes on Australia’s east coast.